It’s been a long, cold winter. As we get closer to spring, you might be starting to think about sandy beaches, the warm sun on your face, and wearing flip flops. If you want to take a trip this summer, but have yet to start planning, you’d better start now. Summer vacations can easily cost thousands of dollars, breaking your budget if you aren’t prepared. Are you nervous that you might not be able to go on an amazing trip this summer due to the cost? 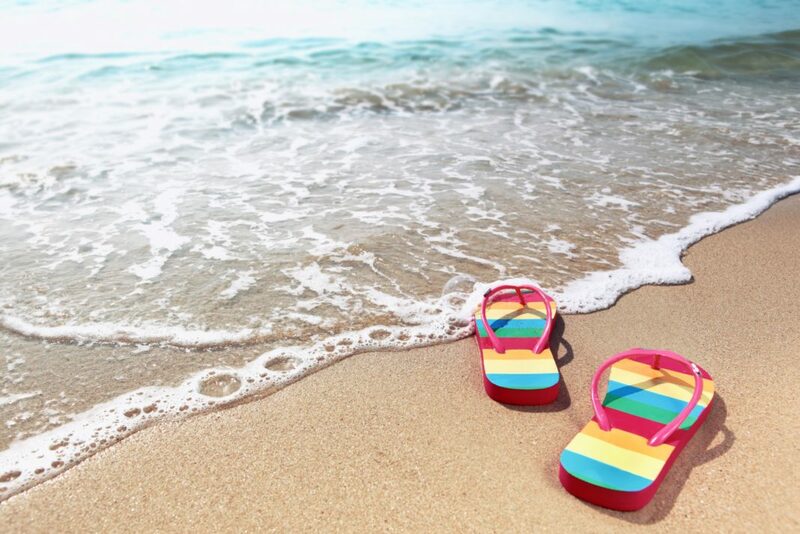 Here are 10 tips on how to save up for your summer vacation by starting now. It’s hard not to spend money. If you see that you have it available, you will most likely spend it. It’s an unfortunate side effect of the materialistic nature of our culture. However, if you make some of your money unavailable for spending, it will simply be that…unavailable. An easy way to do this is to create a separate savings account just for your vacation fund. Out of sight equals out of mind. So how do you get your money into a separate savings account without spending it first? Utilize your bank’s automatic transfer system. With most banks, you can automatically transfer a designated amount into your vacation savings account from your checking account each time you get paid. Do you have direct deposit? Check to see if your employer can split your paycheck into multiple accounts. My husband’s employer was able to do this when we were saving money each week to buy a car. To help save the proper amount, determine your summer vacation costs now. This way you will be able to focus on a target so you won’t be short on funds when you need them. You’ll also avoid saving more than necessary and depriving yourself of money that could be put towards other things. Remember to include costs such as travel, parking, food, and souvenirs. Then take your total cost and divide it by the number of weeks until your planned vacation dates to determine how much you need to save per week. Unless this money would be better spent paying off debt, use your annual bonus toward your summer vacation. It can save you the stress of scrambling to get money together for your trip at the last minute. The amount you receive as a bonus or raise at work will help determine the kind of vacation you can afford. It is best to aim not to have a big tax return. However, if you do have a nice return, save the money for your summer vacation. After receiving a tax return, see how you can adjust your withholdings so that you are not lending money, interest-free, to the government. Instead, set aside money to invest in order to earn interest on it. You will then be able to afford a more expensive vacation next summer. My sister used to be a school teacher. Unfortunately, as difficult as it is to be a teacher, it doesn’t always pay the bills. In order to have vacation money, my sister became the dance team coach and an after-school care provider at her local YMCA. These part-time side jobs required minimal hours, yet earned her enough money over the school year to pay for a nice summer vacation. If you are capable, consider a side job of a few hours a week to fund your vacations. If you’re looking for ideas, here’s a list of ways to make an extra $1,000 a month. Let’s say that you need to save $50 per week in order to bank enough money for a vacation. If you get a $4 latte every day, you can cut that out by making your own coffee recipes at home and save $20 a week! If you always buy your lunch, start packing your lunch to save yourself about $5 to $10 a day. Can you also cut out desserts, dining out, and movies? What else can you live without for the next few months until vacation? Although you might not be able to save up for your entire vacation this way, you may be able to save up for a part of it, like gas and meals. Whenever you have some change, put it in a savings jar. Don’t just put in coins. If you have a couple dollars, put them in the jar as well. Want to kill two birds with one stone? Try the “swear jar” method for saving. Over the next few months, your change will add up significantly. Do you have things around the house that you’re not using? Perhaps you have some items that you haven’t used in a long time, but are still hanging on to for no good reason. I like the philosophy, “When in doubt, throw it out,” but I think it should be changed to, “When in doubt, sell it.” Look around your house for any of these questionable items. If there is any doubt about their usefulness, sell them on eBay to fund your vacation. Chances are, if you haven’t used the items in the past year, you won’t miss them. Sometimes all we need is a little motivation. Place pictures of your vacation destination in strategic locations such as your computer screen, car, bathroom mirror, and wallet. If there is a type of music or a specific song that reminds you of your vacation destination, play it whenever you have the chance. Or maybe there is a type of food that will get you excited about your vacation. If you want to go to Italy, eat Italian. If you are planning a cruise that will stop in Mexico, eat Mexican. All of these things will keep your vacation plans relevant as you are saving up. Don’t forget to combine these strategies in order to maximize your vacation fund. Also, consider ways to save money on your summer vacation, such as going all-inclusive or visiting lesser-known vacation spots. If you don’t think you will be able to save enough for the vacation of your dreams, go on a less expensive one this year, and start saving in the fall for the following summer. The earlier you begin planning and saving, the more likely it is you will reach your goal. What are your plans for summer vacation, and how do you plan to fund your trip? Share your ideas in the comments below!